While some SMBs choose to setup their own in-house servers this can cause issues as their organization grows, increasing the demand on IT infrastructure. IaaS (Infrastructure as a Service) is the answer. In layman’s terms it involves using hardware provided by a third party which you manage. This allows you to setup and use IT infrastructure adapted to your organization’s needs. You can use IaaS to create virtual servers and load balancers, purchase additional bandwidth and much more. In this guide, you’ll discover some of the very best IaaS offerings available today. As these are offered by companies with vast data centres such as Google and Microsoft, system up time is better and tech support costs are much lower. Amazon Web Services (AWS) is a subsidiary of Amazon.com, founded in 2006. It provides on demand cloud computing to individuals, businesses and governments. AWS is a cloud-based program for building business solutions using integrated web services. While it offers much more, AWS is considered an Infrastructure as a Service (IaaS) solution as it supplies the hardware infrastructure that allows businesses to build their web-based solutions in the Cloud rather than physically in their premises. Amazon Web Services is broken into four key areas: Compute, Storage and Content Delivery and Networking. As AWS offers an extensive array of admin controls via their secure Web client, these can all be controlled by you. From here clients also have access to auditing, encryption key creation, monitoring and logging amongst others. AWS will manage all the hardware and system administration. Your infrastructure requirements can be increased or reduced as much as you like. This reduces the resources required to having this occur on site. Under the ‘Computing’ section AWS offers access to EC2 (Amazon Elastic Computer Cloud) web services. This gives you to have control over your online computing resources as well as enabling you to run and acquire servers if needs be. AWS has three different pricing models; ‘Pay as you Go’, ‘Save when you reserve’ and ‘Pay less using more’. To get prices for all these you need to contact Sales directly. However, AWS does offer a free tier. This offers users certain services for 12-months and after that you have to choose to sign up for any of the plans above or to cancel your AWS subscription. Users have mentioned that there is a steep learning curve for using EC2 and this can be a time-consuming process. Some users have also reported issues when trying to contact customer service. SoftLayer Technologies, Inc. is a dedicated server, managed hosting, and cloud computing provider, founded in 2005 and acquired by IBM in 2013. 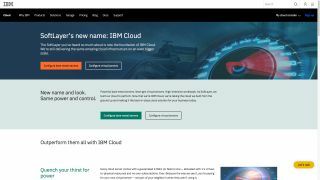 IBM Cloud (formerly known as IBM Soft Layer) does not offer just IaaS, but a wide range of services and not all of them are cloud based either. It covers both virtual and hardware –based servers, composed of public, private and management networks. As hardware and virtual-based servers are combined into one on demand cloud-platform, you have complete infrastructure control. IBM refer to their hardware servers as ‘bare metal’. These provide clients with sole access to their entire server. This reduces the ‘noisy neighbor’ effect and greatly improves performance. IBM Cloud is integrated and managed by a single system that can be controlled via web portal, API (Application Programming Interface) or mobile apps. The solution also offers full server customization. This means that everything that is included in the server is handpicked by you. This way you do not have to pay for features that you might never use. IBM Cloud offers a ‘Lite’ tier. This has no time limit, will not ask for credit card details and includes 256MB of Cloud Foundry Memory. After this you have the option of the ‘Pay as you Go’ Tier where you only pay for what you use. The website has a calculator which you can use to estimate costs. If neither of these are suitable, you can contact IBM for a subscription package tailored to suit your needs. Users have noted a slight delay when loading pages. Other users have mentioned it is heavily geared for developers which can be frustrating for those with not much experience in this area. Google Cloud Platform is a suite of cloud computing services that is run on the same infrastructure used by Google internally for its end-user products. It provides Infrastructure as a Service, Platform as a Service and Serverless Computing. The platform was initially released in 2008. 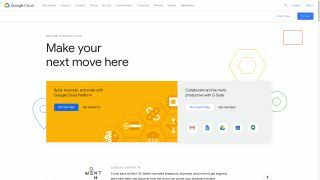 Google Cloud Platform enables users to create business solutions using Google-provided, modular web services. While the platform is an IaaS, it also comes with a managed platform and pre-built web services utilities. With Google Cloud Platform you can use Google’s web services to build a highly customized solution to meet all your company’s needs. The platform makes sophisticated networking look easy. With Google Cloud Platform, it is quite straightforward to create a virtual network. This would include private and public subnets upon which to arrange your virtual machines. As Google Cloud Platform relies heavily on Linux, it helps to be familiar with the Linux command line. This will make the process of setting up firewalls, gateways and routers much smoother. Google Cloud Platform offers a free trial for 12-months. This includes $300 (£232.69) towards all Cloud Platform services and access to all Cloud Platform Products. You can also use services up to their non-expiring usage limits. Some users have noted that it can be tricky to setup for the less experienced users. Microsoft Azure was created by Microsoft to build, test, deploy and manage applications and services though their data centres. It was released in 2010. Microsoft Azure not only offers information as service but also Software as a Service and Platform as a Service. With Azure, clients can use the services purely on the cloud or it can be combined with any existing applications, data centre or infrastructure you may already have in place. 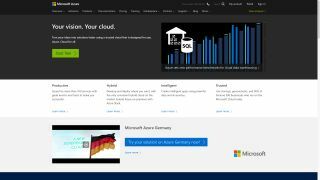 Microsoft Azure can be used to deploy a wide variety of provisioned and managed infrastructures using its IaaS solution. It can fit any of your business needs such as storage, networking, and web hosting. The utility fully manages all of your infrastructure. The platform gives you the freedom to move away from having your servers based on premises which can reduce costs. This removes the need for an on-site support team as this is all now looked after by Microsoft Azure. The most surprising aspect of Microsoft Azure is how friendly it is to Linux users. While the framework is Windows, many Linux distributions can be run on it. The platform offers a 12-month free tier that comes with access to all popular services, $200 (£155.12) credit and over 25 ‘Always Free’ services. If this does not suit your needs Azure has all their prices laid out in incredible detail on their website. They also offer a cost calculator and a ‘Pay as you go’ service. Each price can be customized to your needs. However, the price will increase if you require more add-ons. Users have complained that there’s no official ‘Getting Started’ manual. Due to the range of services offered, this can be overwhelming for new users. 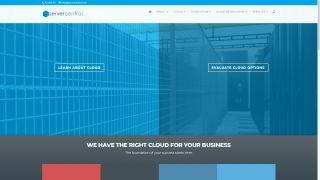 ServerCentral provides cloud infrastructure, IaaS, managed storage and services. The company was founded in 2000. ServerCentral manages to make the transition to a new IaaS provider seamless. This is important as downtime for any company needs to be kept low as possible. Due to the variety of technologies and options available this transition is made easy. ServerCentral offers 24/7 support which includes a range of infrastructure technicians and data recovery experts. There are very few compatibility concerns when it comes to ServerCentral. Your infrastructure is sent through a secure connection to the platforms servers that was chosen to support your working needs. All software is agnostic so will work across all platforms. The servers themselves are very high spec. They have enough CPU and memory needed to match most organizations needs. This service does not come cheap with a starting price of $249 (£193.12) per month for their ‘Web Server’. This includes 8GB DDR3 RAM, 4 cores and a 2TB transfer. The ‘App Server’ tier starts off at $399 (£309.46) per month which comes with 16GB DDR3 RAM, 8 cores and 5TB transfer. Their final tier, ‘Database Server’, is $599 (£464.58) per month which offers 32GB DDR3 RAM, 12 cores and 10TB transfer.